Calling all members! Join us for our EGM at 6pm on Monday 4th December. 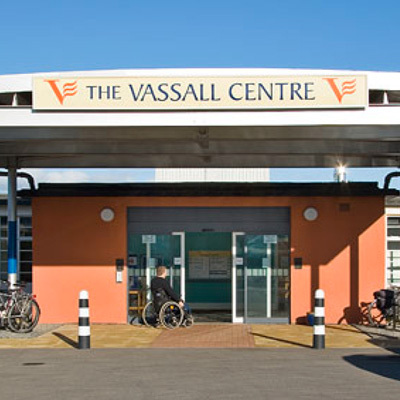 Our move to the Vassall Centre meant the start of a new chapter in the history of the Centre for Deaf and Hard of Hearing People. To reflect this, we have been developing a new constitution for the charity. This new constitution honours all that has been achieved in the 140 years that the Centre has been in Bristol. It will also ensure that we can continue our work supporting Deaf and hard of hearing people into the future. We are inviting all members of CfD to an Extraordinary General Meeting to discuss the new constitution and vote on it. Ahead of the meeting, you may like to download these explanation notes, which give an overview of the key changes to the constitution, or take a look at this video of our Co-Chair of Trustees Hilary Sutherland explaining the changes. We hope you will join us at the EGM as we so value your support in helping to develop the organisation as we continue to grow. Where: The Vassall Centre, Gill Avenue, Fishponds, Bristol BS16 2QQ. For further information, please contact us by email at office@centrefordeaf.org.uk or by phone on 0117 9398653.